aw school applicants are often focused on two things: taking the LSAT and writing their personal statement. These are both critical aspects of any law school application, but certainly they are not the only ones. In this blog post, I will focus on tips to get the best Letters of Recommendation (LORs) you possibly can. All law schools require that applicants submit at least one Letter of Recommendation. For admissions officers, recommendation letters are a crucial way to gain deeper insight into the candidate’s abilities and potential. By following these guidelines, smart applicants can maximize the positive impact of their Letters of Recommendation and boost their chances of admission. The first step to securing a good Letter of Recommendation is choosing the right recommender. Most law schools state that they want Letters of Recommendation from professors, and they mean it. You are applying to be a student, not an employee, and professors are in the best position to establish your strengths and abilities in an academic setting. All applicants should include at least one Letter of Recommendation from a professor if at all possible. Applicants who are current students should aim to submit 2 academic Letters of Recommendation. Applicants who have been in the workforce for a number of years may decide to submit 1 academic Letter of Recommendation and 1 professional Letter of Recommendation. Q1: Who is a right recommender? A recommender who knows you personally and can attest to your skills with specificity and detail will provide the strongest Letter of Recommendation. Q2: How does this look like in practice? It means that you should cultivate relationships with professors at your college early and often. Students should seek out opportunities to get to know their professors better, and for the professors to get to know them. Yes, this is not a last minute game plan. Attend office hours regularly. Take that opportunity to be a TA or research assistant. Work one-on-one with a professor on a thesis or in-depth project. Join a campus organization that your favorite professor advises. It is important to look for and take these opportunities to get to know your professors as they arise. Don’t wait until your senior year of college to form a relationship with a professor whom you expect to write a Letter of Recommendation. Q3: A junior professor who knows you well vs. the department head whose lectures you’ve sat in on? The golden rule for choosing a recommender is always go for the recommender who knows you the best. When in doubt, go for quality over title. Law schools use the Letters of Recommendation to gain insight into your ability to contribute to and succeed in law school. The admissions committee will learn much more meaningful information from the professor who has actually seen your work and interacted with you than it will from a paragraph or two of generalities written by a “name” professor who doesn’t actually know you. The same principal applies for professional recommendation letters: a Letter of Recommendation from a direct supervisor is preferable to a Letter from the CEO, unless you directly report to her. A quick side note: not all law schools require the same number of recommendation letters. Some specify that only 1 or 2 may be submitted, but others give applicants the choice of submitting up to 4. So, how do you decide how many letters to submit? The number of Letters of Recommendation you submit should be determined by their contribution to the rest of your application. For instance, if you have a dual major in Engineering and Music (or any two contrasting fields), plus a great internship at the White House, each of your professors and your direct supervisor can provide perspective into unique aspects of your skills and abilities. If this scenario sounds like yours, by all means submit all 3 Letters of Recommendation. However, you should NOT submit 3-4 Letters of Recommendation that are repetitive and add nothing new to the picture of the applicant’s skills. Law school admissions committees know when a weak candidate is trying to supplement his record with multiple vague and identical recommendations. And, whatever you do, make sure you observe the limits set by each school to which you apply. Okay, now you’ve lined up professors and employers to write Letters of Recommendation for you, but that’s not the end. You can and should play a part in the content of the Letters of Recommendation. How to do so? First, look carefully at your application package and determine which aspects of their candidacy need further support that can best be provided in the Letter of Recommendation. For instance, if an applicant has focused on science or engineering, she should ask an English Literature professor to highlight her writing skills. If an application doesn’t fully demonstrate an applicant’s leadership skills, he should get a Letter of Recommendation from the professor in whose class he served as a TA. Use recommendation letters to balance other pieces of your application and help present a complete picture of your skills and abilities. Second, provide that information to your recommender up front. This is the best way to ensure that the recommender includes this important information in the Letter of Recommendation. When you ask a professor or supervisor to write a Letter of Recommendation, give her the information she needs to write it. This includes any papers or projects you did for her, a draft of your resume and personal statement, and a cover letter that addresses your desire and reasons for going to law school, as well as any specific strengths or characteristics you would like her to address. If possible, ask the recommender to write the Letter of Recommendation in person, and give her a chance to say “no.” Nothing is worse than a vague, weak Letter of Recommendation – it is a missed opportunity for the applicant and will detract from the application package. 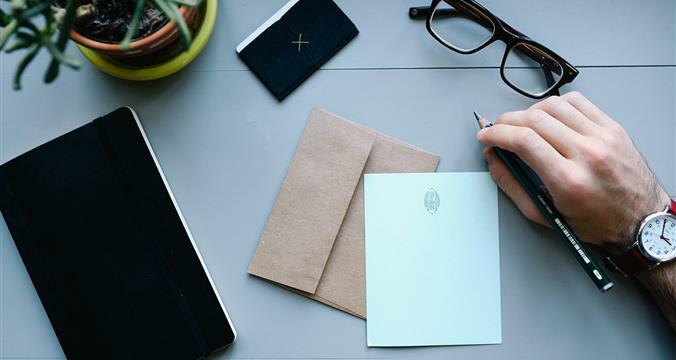 To make sure that you can take full advantage of your Letters of Recommendation, be sure to stay on top of the logistical issues for submission. First, when you ask a Recommender to write you a Letter of Recommendation, clearly explain the process of uploading the Letter of Recommendation to LSAC site and provide the correct link. You don’t want a Recommender to write you a great Letter, but find herself unable to get it to your file! Second, make sure that you give adequate time for the recommender to write and upload the Letter of Recommendation. LSAC states that it typically takes 2 weeks to process documents submitted to the lsac.org site. Your application will not be complete and ready for review until the processing is done. Thus, you should make sure that you ask your recommenders at least 6 weeks before you hope to complete your file for submission. However, the LSAC Evaluation is still a relatively new service and not adopted by most top law schools. We only recommend that applicants use it when required to by the law schools that they’re applying to. Do your part well, and you’re golden. As you can see, there is a lot law school applicants can do in terms of their Letters of Recommendation: choosing the right recommender(s), providing guidance and content for the recommender, and mastering logistics. It’s worth the time and effort. A glowing Letter of Recommendation will work together with all the other pieces of your application to present a compelling case to the Admissions Committee. The bottom line is this: Start early, do your homework, and try to make most out of it while you can.